After six years in the premier class, the Valencia squad join up with the manufacturer with which they began their MotoGP™ adventure. After being a reference point in the smaller GP categories, and winning a variety of world championships, in 2010 the Aspar Team confirmed they would extend their efforts to become the biggest team in the world championships - setting up a MotoGP™ squad alongside Ducati. The Valencia-based team enjoyed two great years, picking up vast experience in the elite class with the Borgo Panigale constructor. After six more years racing, the Jorge Martínez ‘Aspar’-led team have picked up a wealth of knowledge and have had lots of success. Six years on from their MotoGP™ debut with Ducati, and after working with other factories, the Aspar Team have now decided to join up with the Italian manufacturer once again in 2016. Memories of the perfect harmony between the two parties in those first couple of MotoGP™ seasons (2010 and 2011) tipped the balance for the Aspar Team to join forces with Ducati once more. 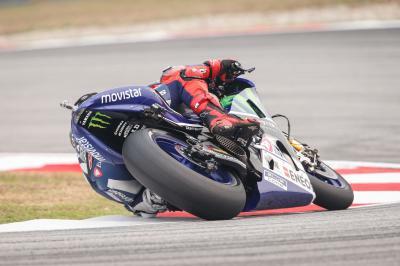 The Spanish team will continue to field two bikes and two riders in MotoGP, Yonny Hernández and Eugene Laverty. 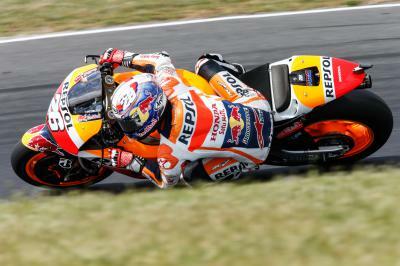 A difficult Saturday at the Pramac Australian Motorcycle Grand Prix for Dani Pedrosa as winds pick up. 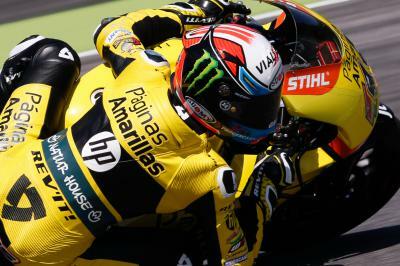 For the third time in his fledgling Moto2™ career, Alex Rins will line up on pole position for Sunday’s race. 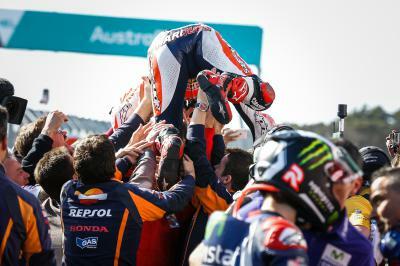 Sam Lowes secures a front row start for the Pramac Australian Motorcycle Grand Prix after vicious crash. Danny Kent ends Qualifying as the fastest rider, but he’ll start seventh at the Pramac Australian Motorcycle Grand Prix after a penalty. Alex Rins claims his third Moto2™ pole position of the season ahead of Axel Pons and Sam Lowes at Phillip Island. 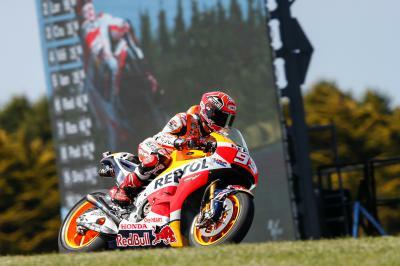 Marc Marquez claims his 30th MotoGP™ pole position by over three-tenths from Iannone and Lorenzo, with Rossi starting from seventh. 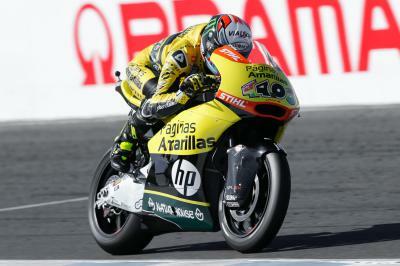 Pol Espargaro and his brother Aleix finish fastest in Q1, securing their places in Q2. 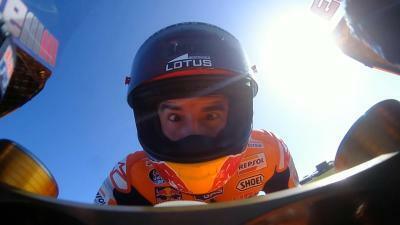 Marc Marquez finishes 0.619s clear at the top of the timesheets in FP4 ahead of Jorge Lorenzo and Andrea Iannone.